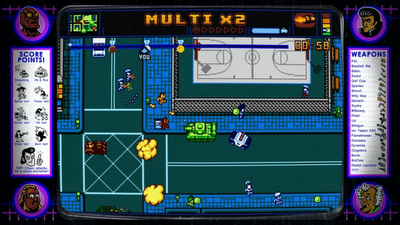 Retro City Rampage is a game with a legacy, a long history dating back to 2002 - when it was known as "Grand Theftendo." A pet project of Canadian programmer Brian Provinciano, over the years it grew from a hobby project of demaking Grand Theft Auto on the NES to a full-blown commercial multi-platform and original open-world parody adventure. Finally, on October 9th, 2012, the game was released, and as a pre-order customer, I had first dibs on this unique labour of love. 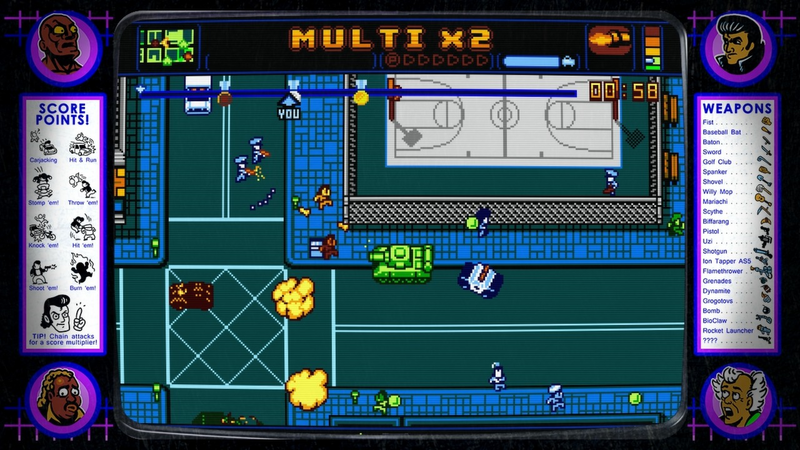 Right out of the gate, Retro City Rampage pimp slaps players with its, well, retro references. I don't even remember how many nods to 8-Bit gaming were included in even the first few minutes of play. Even the title is a reference to one of my favourite childhood beat-em-ups. These little gems are more than peppered throughout play - the game is simply smothered with them. It's extremely tempting to share some of them with you, dear reader, but for those of us who spent their days hunkered down in their bedrooms, Nintendo Power in hand, muttering semi-curses at Ninja Gaiden and staring blankly at the mysteries of Castlevania II after watching Saturday morning cartoons, I won't ruin them for you. 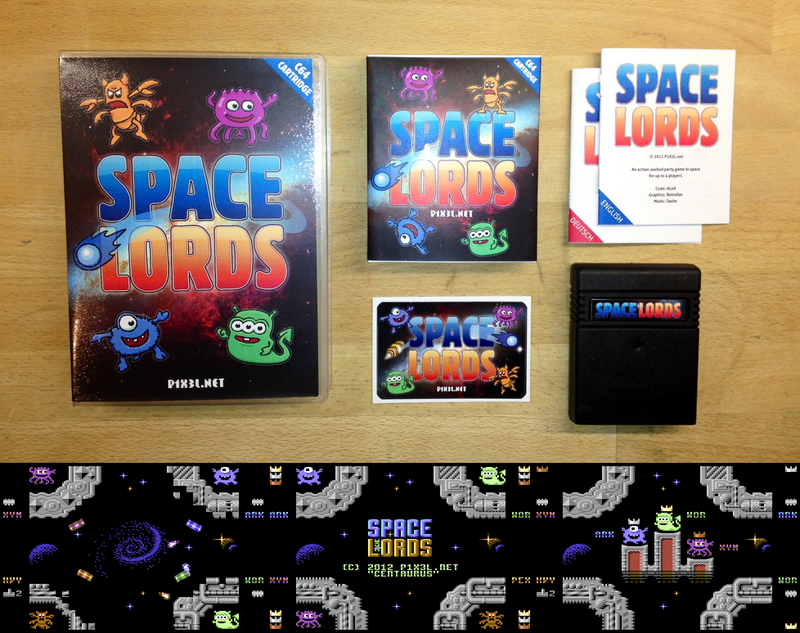 It's taken almost a whole year since their first appearance, but the Space Lords have finally returned in this exclusive C64 remix of the classic Atari 2600/Coin-Op Warlords game! Initially released as one of the higher scoring entries in 2011's C64 16KB Cartridge Competition, ALeX, Retrofan and Taxim from P1X3L.net are proud to present the 'Centaurus' version of the game on a 16KB cartridge courtesy of RGCD. Complete with a space-freighter load of aesthetic and gameplay improvements since the release of the free Andromeda and Andromeda II builds, Space Lords is a single-to-four-player space-station smashing battle-game that supports a huge variety of controllers (joysticks, mice, paddles, keyboard and the Protovision 4-Player adapter) and includes several game modes for either tournaments or single play sessions. NTSC and PAL compatible, the cartridge version of the game comes in a classic black cartridge shell complete with a printed manual and a vinyl Space Lords sticker. The cartridge version is available in two packaging types, a standard card carton and a more expensive 'deluxe version' that comes in a plastic case (a Universal Game Case with a specially cut foam insert to hold the cartridge as shown below). The standard version is priced at £20 inclusive of UK/Europe shipping, and £21 for the rest of the world, whereas the deluxe version costs £25 (UK/Europe) and £27 (rest of world). There is also the option of buying a download of the game in *.PRG and *.CRT format (complete with English and German manual texts) for the considerably lower price of £2. This will also be sent out to any customers who buy either cartridge version. * A Commodore 64/128/GS (PAL/NTSC) (8580 SID Recommended). 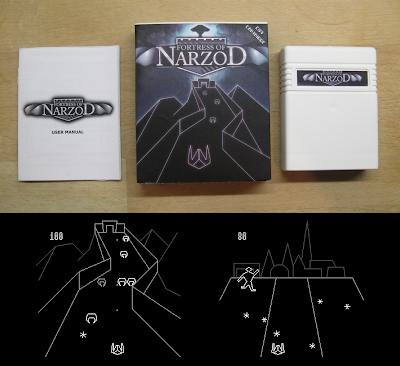 Download Fortress of Narzod (PAL) in .bin/.crt cartridge format HERE! Download Fortress of Narzod (PAL) in .d64 disk format HERE! BONUS! Check out TRSI's 'Meet Linus' music collection in C64 .prg format HERE! BONUS! Download the Fortress of Narzod soundtrack by Linus HERE! 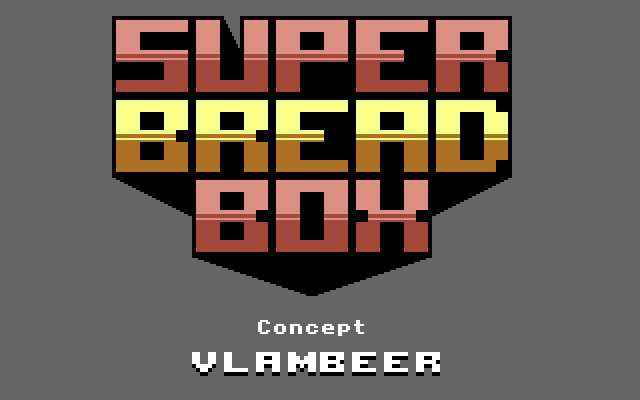 Independent Dutch development studio Vlambeer - comprised of one part Jan Willem Nijman and one part Rami Ismail - really made a name for themselves when they unleashed Super Crate Box on the world. Previously known for the Flash-based, sea-creature annihilating romp entitled "Radical Fishing," Vlambeer is famous for their ability to craft charming, tightly produced arcade niblets of joy. 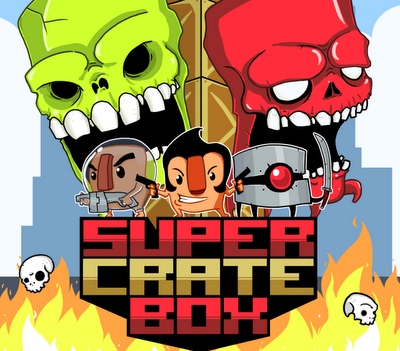 Super Crate Box is perhaps the best niblet; the most savoury and addictive of all their creations to date. In my few years of writing about video games I've played quite a few that got me really, really excited early on. I'm a pretty enthusiastic guy about stuff and I sometimes do doubt my first impressions of a game, because I tend to throw myself into things. Better than off things, I guess. Death Ray Manta, or DRM to its mates, is the first game I've played in ages that blew away any chance of me second guessing myself. It's an eruption, a condom full of crack exploding in a drug mule's stomach, a mainline hit of pure colour and light and energy and noise and speed and then more colour and more light and lasers, lasers everywhere. It's like opening your skull and dunking your brain in a bowl full of sugar. A brilliantly opportune piece of news surfaced last week about NASA actively working on a 'warp drive'. I, however, did not read the news item in question, for I was busy playing F.T.L. 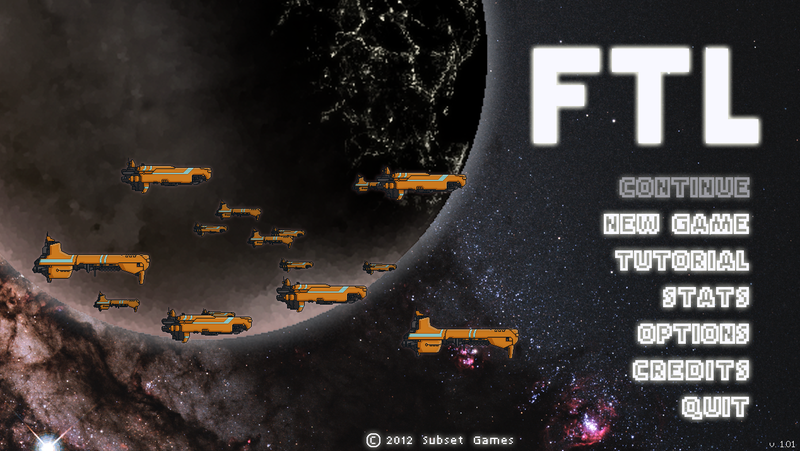 (Faster than light). In fact most of the things I would normally have done, have been displaced by this seemingly slight little indie game. Why should this be the case? It's just your typical Rogue-like space-ship resource management rpg-lite tactical simulation with a multitude of options and unlockables. Oh, hang on... that's why! * A friend to play with (optional, yet strongly recommended). Download Get 'Em DX (Retail Version) in .prg program format HERE! 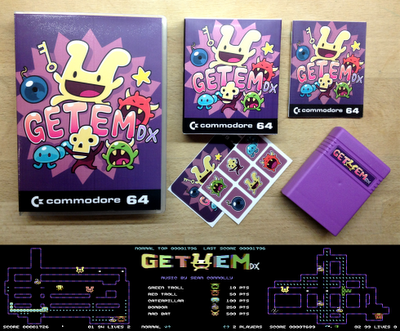 Download Get 'Em DX (Retail Version) in .crt cartridge format HERE!